A website is your place of business on the internet. And simply by being on the internet, you give your business the opportunity to grow. The answer in most cases is yes. A website brings advantages that are hard to beat. A website gives credibility and works for you 24/7. It can also offer place to collect leads, give you a storefront online, provide a place from which to build a mailing list, and provide a home for customer support. It even offers a way for people to find your brick and mortar business. And, if well optimized for SEO, a website can attract new customers through search engines. There are two main methods to get a website up and running. (1.) 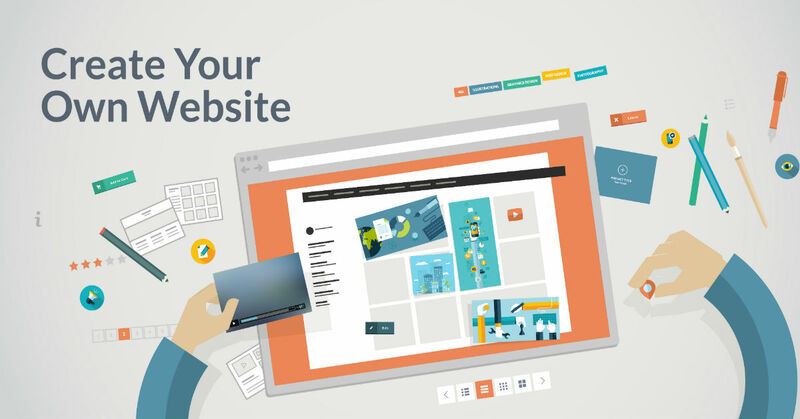 You can use a DIY website builder tool such as Wix, Squarespace, Weebly or GoDaddy Websites. (2.) You can have a web designer or developer build a custom website for you. Both approaches include both positives and negatives. Millions of business owners and entrepreneurs are opting to use do-it-yourself website builder tools. Here are some advantages and disadvantages. When it comes to getting a custom website built for your business, you’ll need to hire a Web developer to create one for you (unless you have rad development skills yourself). Require more ongoing expenses to operate, including hosting, updating, support requests, etc. There’s no right or wrong answer when it comes to choosing between DIY website builders and custom websites. Every small business and every situation may be different. It depends on what you’re looking for, how much time you can devote to using a DIY tool, how big your budget is, and how customized you want your web presence to be. For more about building a web presence for your business and for using technology in general, please download our 49-page ebook created in partnership with Microsoft. Download the ebook here.